A baby boy born with an extremely rare medical condition was denied a transfer by Medicaid — a government-run healthcare program — to a hospital that could provide him with life-saving treatment. Ja’bari Gray was diagnosed at birth with a severe form of aplasia cutis, a disorder in which someone is born without skin. 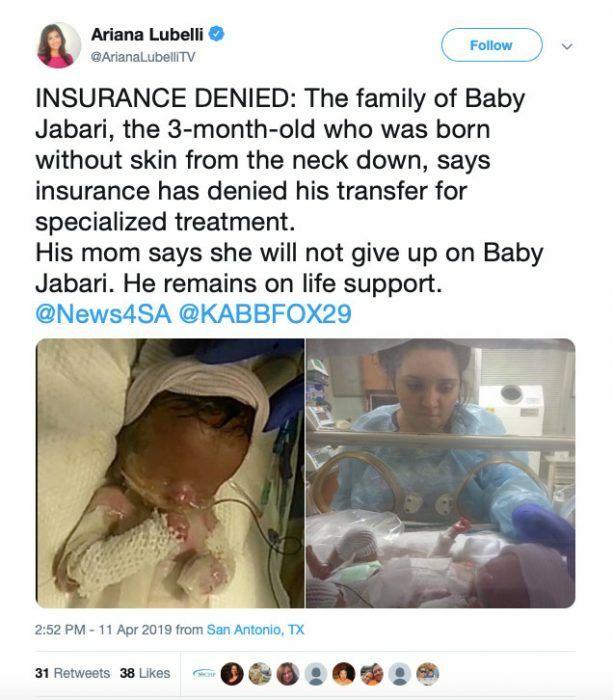 Born in San Antonio, his hospital had no way to treat him, but referred him to Texas Children’s Hospital, where doctors could help — but Priscilla Maldonado, Ja’Bari’s mother, said Medicaid refused. After a very vocal outcry from outraged people around the country, including many who complained to insurance and hospital officials, Medicaid changed course, and announced they would approve the transfer after all. People are also donating to help cover the costs of his medical care. It’s believed that Ja’bari is only the third baby in the United States born with aplasia cutis. Without the transfer, the hospital Ja’bari was born at could do nothing to save his life, so they told Maldonado to prepare for the worst. “Now it came down to where they just want us to go ahead and disconnect him when we feel comfortable because he’s in too much pain and suffering right now,” she said. 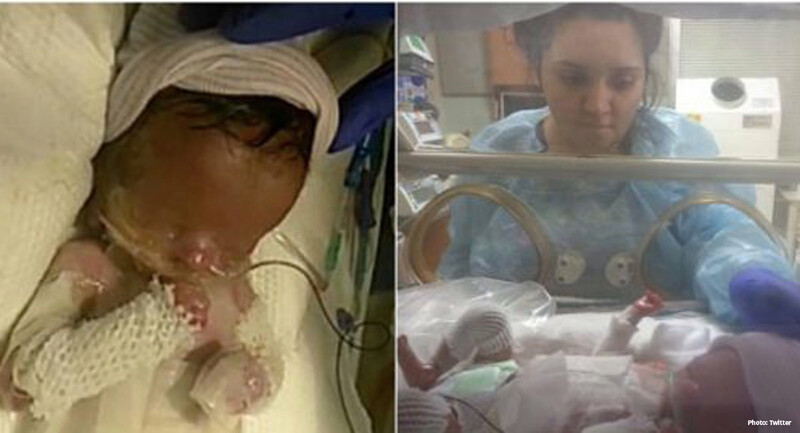 “I just want my baby to be home and be normal and be able to hold your baby.” She refused to give up, taking matters into her own hands, launching a GoFundMe campaign, speaking to the media, and getting to work filing for a new insurance plan. “[I]t’s going to cost a pretty penny, but my son [sic] life is worth everything to us,” she wrote on her GoFundMe page. Hopefully, little Ja’bari will get the expert care he needs, and a chance in life.